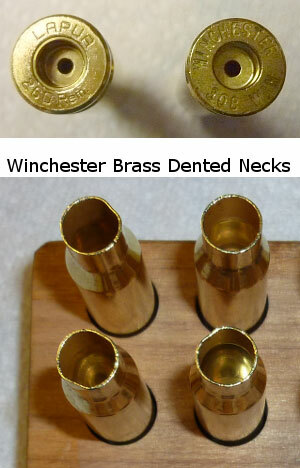 I have never done these measurements on any other brass so I don’t know how they compare, but I am very impressed with the overall quality of the Lapua .260 brass. 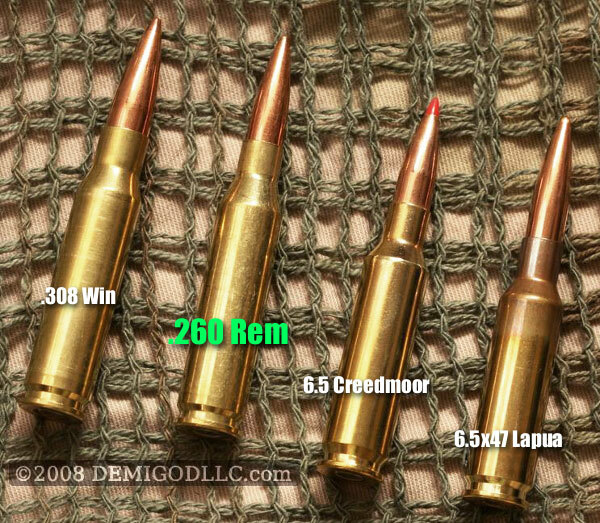 If they prove to hold up to the repeated firings I get from my Lapua 6BR brass I believe .260 shooters wil be very happy. 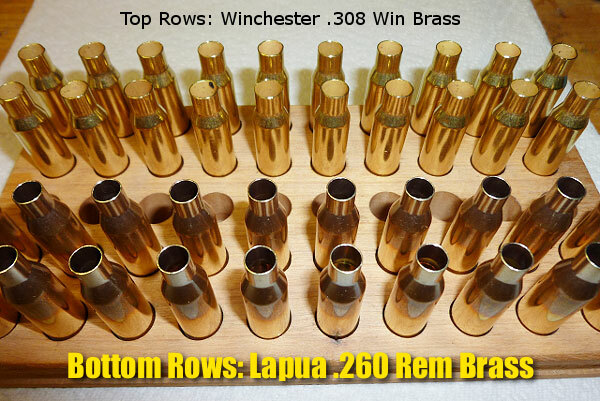 Share the post "Lapua .260 Rem Brass Proves Very Uniform"
OK, you .260 Rem shooters, break out your credit cards. 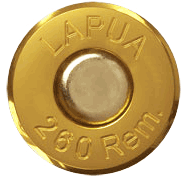 The Lapua .260 Remington cartridge brass has finally arrived. 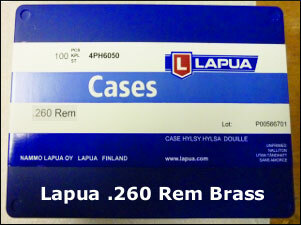 Kevin Thomas of Lapua tells us: “Sorry for the wait guys, but it’s here. Grafs.com has its shipment and will begin shipping orders [May 4, 2011]. Kaltron Pettibone received theirs a few days ago and should be filling existing orders as I write. 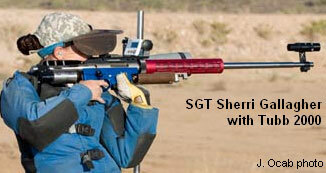 Let us know what you think of this stuff. 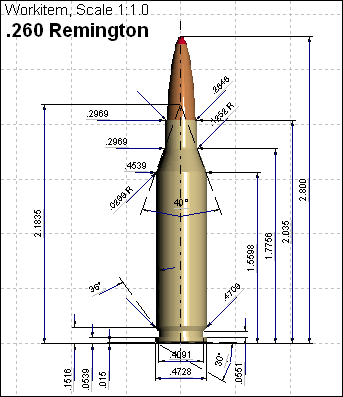 Looks pretty good so far, but the proof’s in the pudding.” Grafs.com has the .260 Rem brass in stock at $96.99 per 100-ct box (Shipping included with $4.95 handling fee). 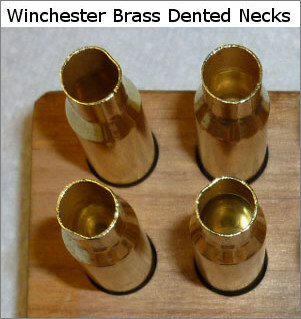 Eabco.com has the .260 Rem brass in stock for $92.50 per 100-ct box. 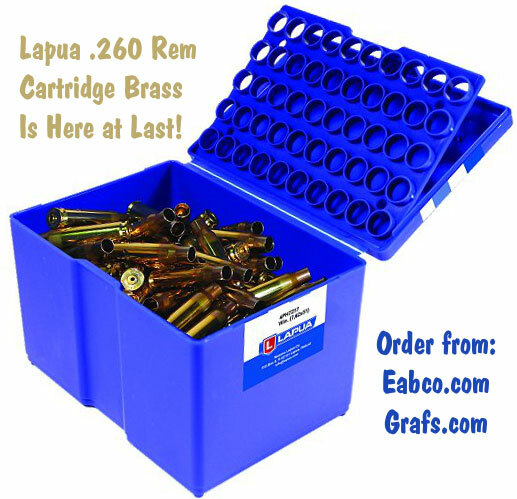 Share the post "Lapua .260 Rem Brass In-Stock Now at Grafs.com and Eabco.com"